Elaine Hancock (Olney, United States) on 16 June 2014 in Landscape & Rural. Over the weekend I went on the Frederick Historical Society Farm Tour. The next few pictures are from the farms that I visited. The great thing about history. I'm sure I had a toy model of this . . long ago ! That looks like it's enjoying it's retirement perfectly. Super low pov. Stunning colour of crushed raspberries of this old one. J'aime beaucoup le cadrage! beau! Quel vieux tracteur une antiquité dans las hautes herbes. The rusty color seems to tell us about the history. It looks so lonely, but stands out against the field. Un cadrage et des couleurs qui mettent cette vieille et belle machine en valeur! Tremendous picture,great framing,processing and pov. Perfect composition and I like the colour combination. Excellent framing. 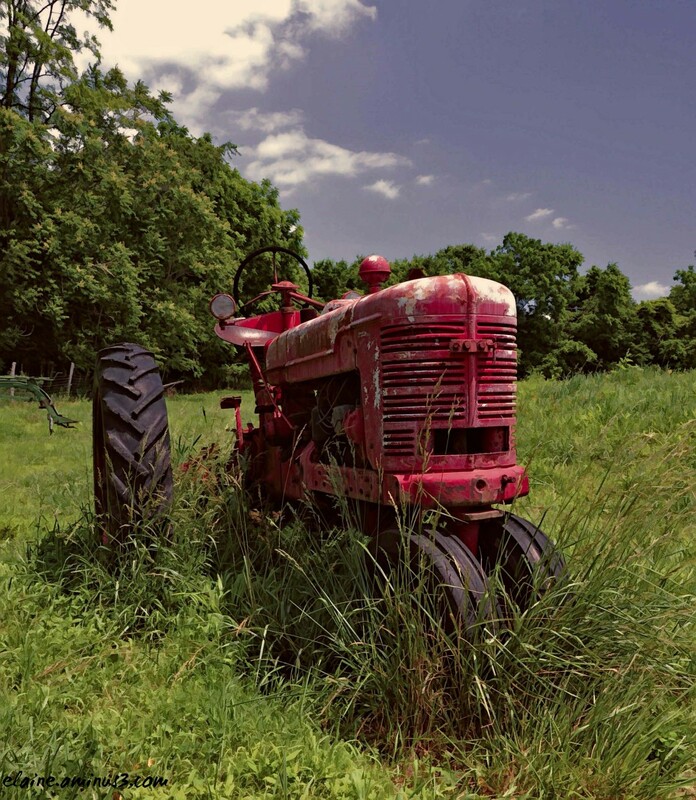 Wonderful capture of an old red tractor. Very old. It's a great shot. I especially like the PoV and composition. The old tractor looks 'retired' with the tell grass growing up around it. Fine shot. A wonderful find and a superb composition ! Gorgeous! Love the framing with the tall grass, the color contrasts and the lovely light. I think this is a perfect photo to show Americana life. Nice! A nice low PoV which gives this tractor added size. It stands out nicely against the lush surroundings. Beautiful angle and the subject is fabulous .. also love the processing ..! strange tractor with the front wheels. such beautiful angle, composition, colors, lighting & details! Wonderful shot of this old classic tractor !! Great camera angle Elaine ! !